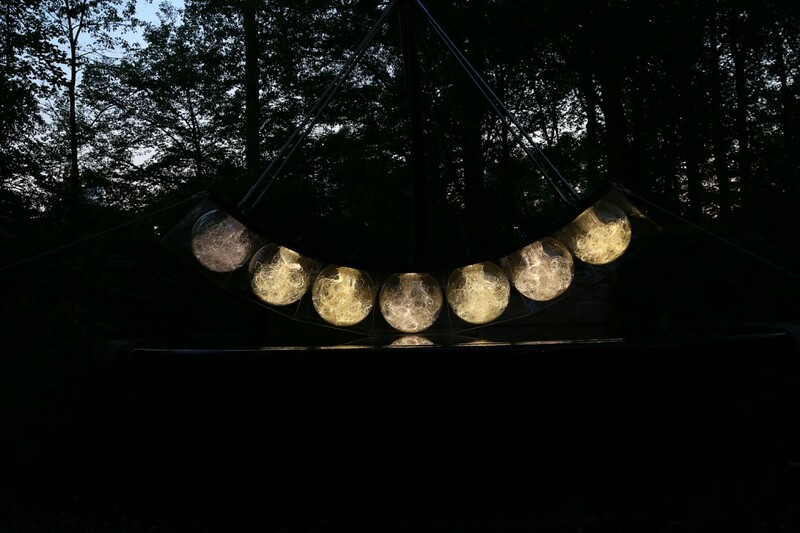 Continuing Munro’s passion for repetitive components, giant spheres encased in acrylic are threaded with optical fibre and repeated to create a monumental suspended cradle. 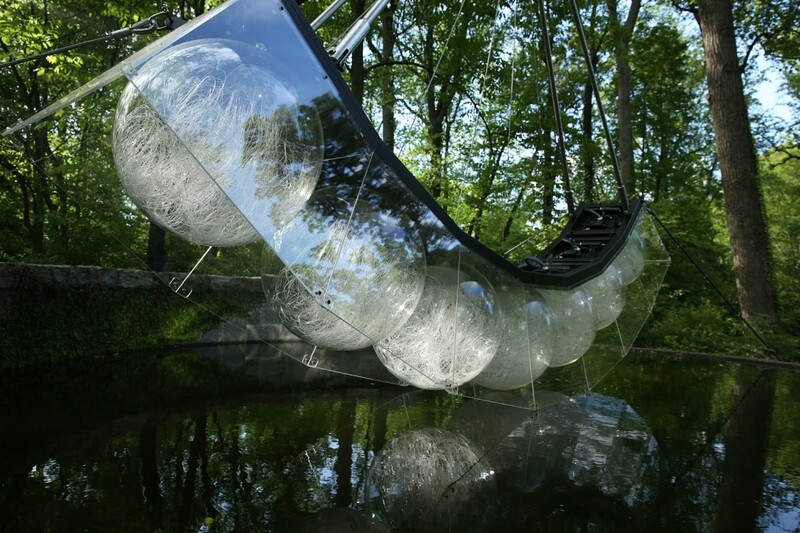 An giant iteration of a smaller Swing Low conceived for a private residence in London. 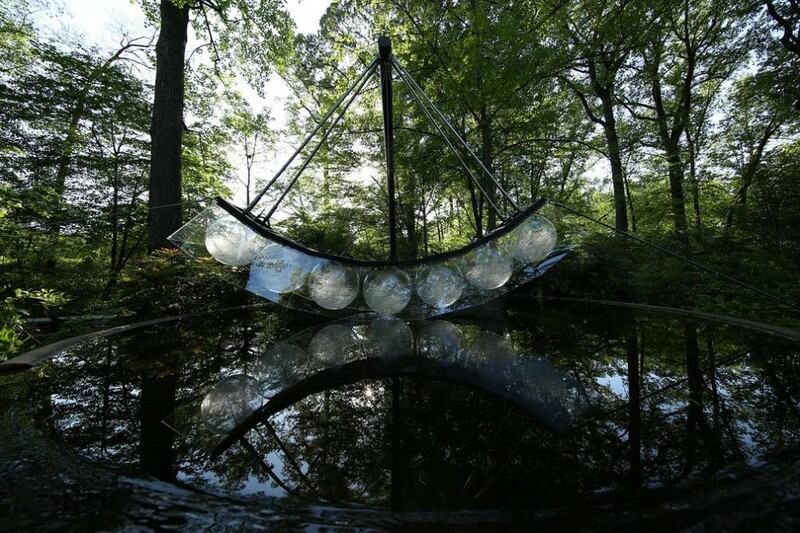 Bruce Munro: Light in the Garden, Atlanta Botanical Garden, Atlanta, GA, USA.